A fresh and brightly flavoured fermented apple chutney is just the thing to balance a savoury meal. This sweet, flavourful and probiotic chutney is made with raisins, walnuts and mix of apple pie spices. 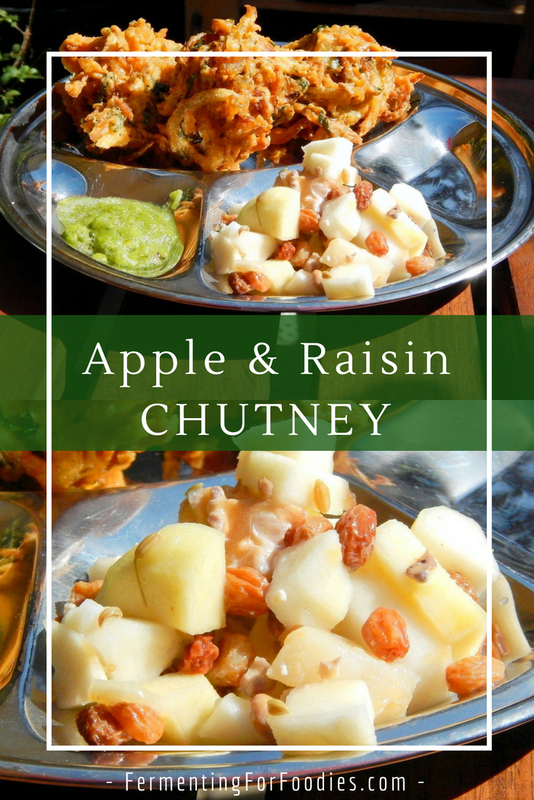 Though chutneys are traditional in South Asian cuisine, this fresh fermented chutney, with its apple pie spices, has many different uses. It is the perfect condiment for pakoras, dosa, khaman dhokla and a host of other dishes. Leave out the cayenne for an apple pie flavoured topping for yogurt, oatmeal, pancakes or waffles. Fermented apple chutney is delicious on a sandwich with cheese. Combine all the ingredients except for the honey and water. Pack the chutney ingredients into a jar for fermentation. Use a spoon to press down and get the chutney really packed in. Add enough filtered water to keep the chutney submerged. The apples will float so use a weight to keep them submerged. 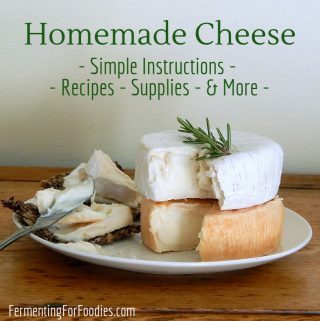 Ferment in a cool dark cupboard for 2-3 days. Add honey after the fermentation and move to the refrigerator for storage. Use within 2 weeks. 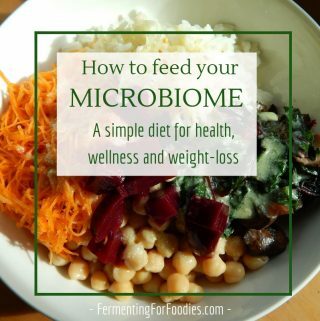 –Kombucha is a great starter for this ferment. 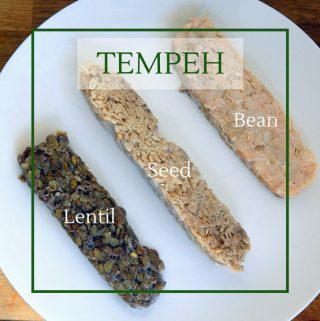 Alternatively, you could use milk kefir whey, sauerkraut juice, or a purchased starter. -The chutney will be sparkling right after fermentation, so let it rest in the fridge for 1 day prior to use. 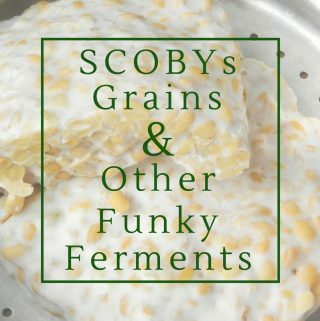 -I like fermenting in a fido or in a mason jar with airlock for the best results. If you are using a jar with a weight, be sure to cover your jar with a cloth to keep fruit flies out. -This chutney is meant to be eaten fresh. If you want an apple chutney that can be frozen or canned, try Cooked Apple Chutney.